We are gratified to give back to the communities that support us, through free performance at fundraisers for community organizations, such as the Santa Barbara Birth Center, Center Stage Theater, Girls Rock SB, and through our outreach program, which provides movement workshops and performances at local preschools and with Everybody Dance Now!, a local dance education non-profit organization. Nebula spent time over the past few seasons to develop a kids matinee program working directly with the schools to provide them a unique opportunity for their student's to experience a professional performance opportunity in a theater setting. 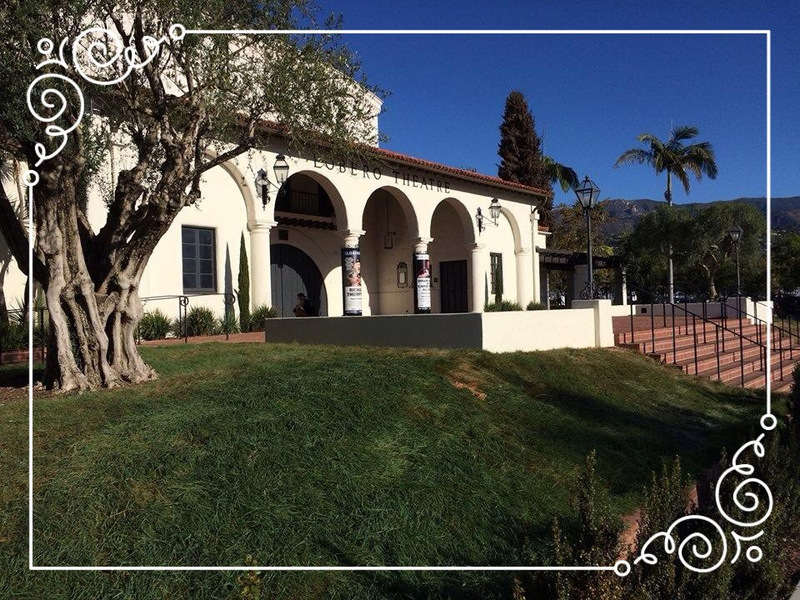 Launched in 2014 at Center Stage Theater, Nebula was thrilled to expand the program into The Lobero benefiting over 3200 students. In 2018 we expand the program to include K-12 offering four performances benefiting 2400 students. BIG thanks to The Lobero Fund, Santa Barbara Bowl Foundation, Santa Barbara Education Foundation in partnership with the Leni Fe Bland Foundation, Strategic Incentives, and individual sponsors/donors for their dedication and belief. Nebula’s performance program intends to incorporate the teaching curriculum correlation required for schools to integrate academic learning and arts exposure, making this program a more diversified experience for their students. Our Matinee Program features two Unique programs: The Inquisitor and Through the Looking Glass. In addition to our main performance, Nebula successfully performs annually for 1200 children, chaperon's, and teachers with the generous support of The Lobero, Santa Barbara Bowl Foundation, Santa Barbara Education Foundation and Community Arts Grant. Our programming for this production provided priority to Title I schools and included attendance by Franklin, Adelante Charter, Adams School, Peabody Charter, Open Alternative, Cleveland, Roosevelt, Harding, Washington, SB Comm Academy, and Santa Barbara Charter. It also included a teacher pre-show worksheet, parent/student prep packet, and post-show worksheet/project. 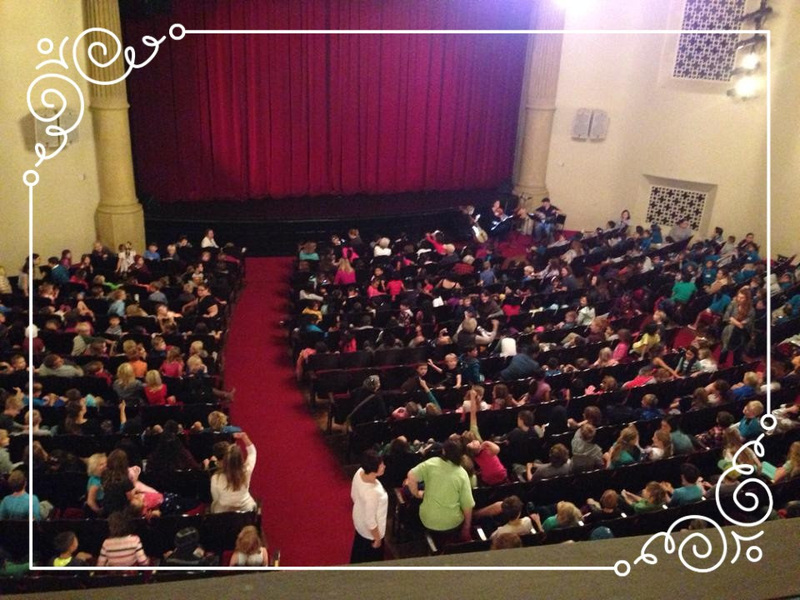 As a testament to our impact to area schools, we learned that approximately 60% of the student audience had never been to a theater before, and approximately 70% of the students had never seen a dance production before. How great to be able to enrich the lives of so many children! The Inquisitor created collaboratively and debuted in 2015, Nebula pushed the choreography to new places resulting in a cohesive blend of ambitious technical dance and intricate signature partnering. 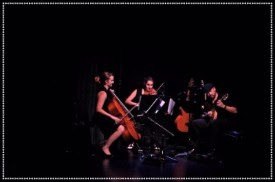 Danced to a new original score by Adam Phillips and played live by Adam's Mission Creek Trio, The Inquisitor included scenery of original artwork by Shelby Lynn Joyce, which was projected as a backdrop throughout the show. Through the Looking Glass, Nebula's newest work premiered in 2017. A compelling new work inspired by Lewis Carroll’s book, Alice’s imaginative and curious world comes to life through intricately woven choreography by Meredith Cabaniss, Devyn Duex, and Karyn Laver, featuring collaborations with The Dance Network and SELAH dance collective. To breath depth and color into the world of Alice, Nebula once again collaborated with composer Adam Phillips to create an original score, which will be played live by Santa Barbara Folk Orchestra small ensemble, and unique visual art by Meredith Cabaniss.